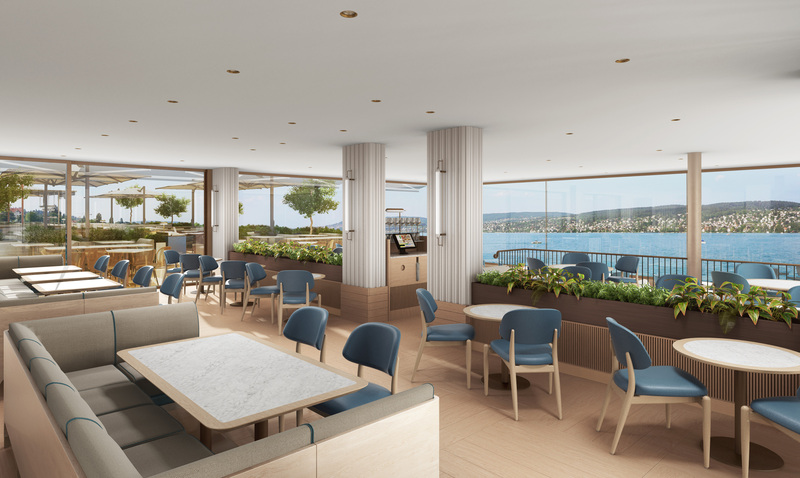 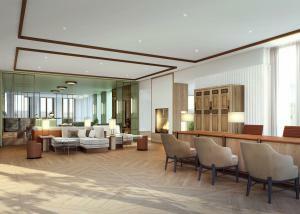 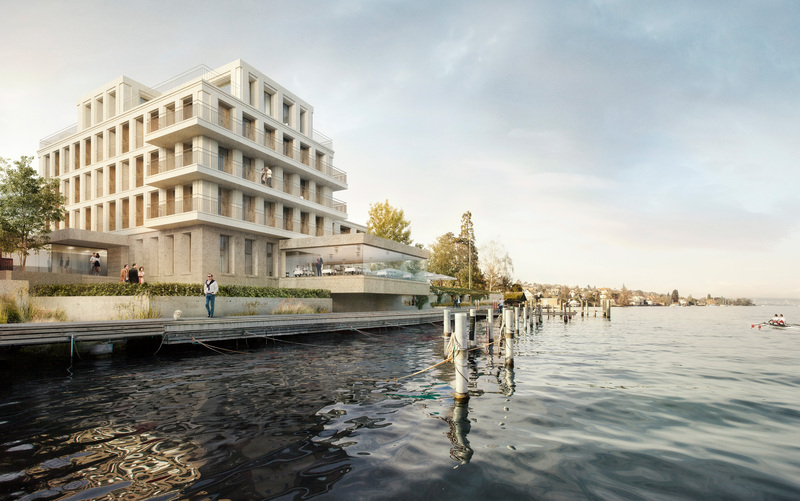 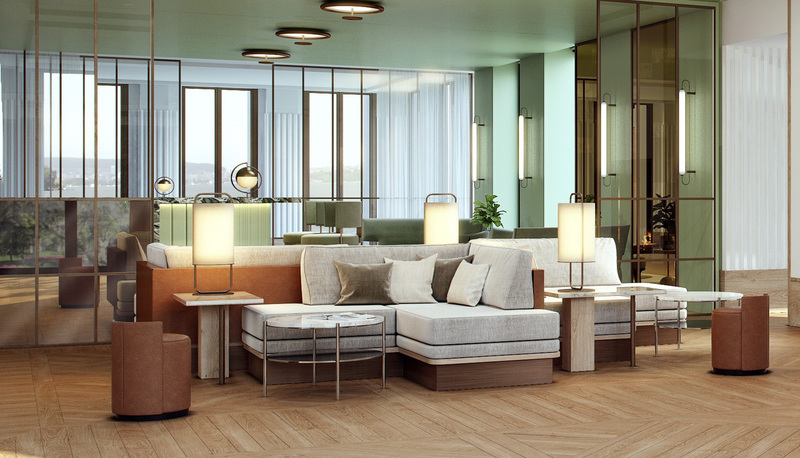 “Grüezi” from Lake Zurich – meet the brand-new hotel Alex Lake Zürich, opening summer 2019! Gordon Campbell Gray, founder of the privately held luxury hotel group, is currently running five unique hotels located in international top destinations. 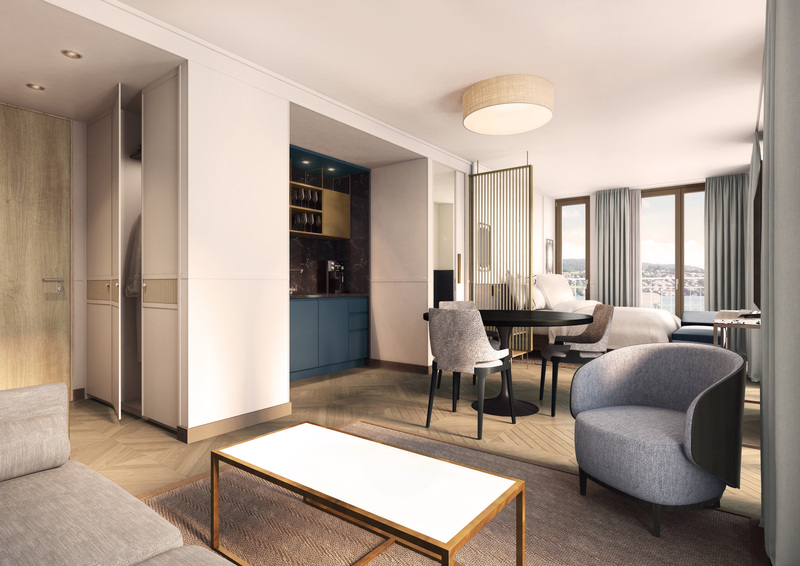 And for the first time in his long career within the hospitality industry, he has launched an extraordinary hotel in the German-speaking market. 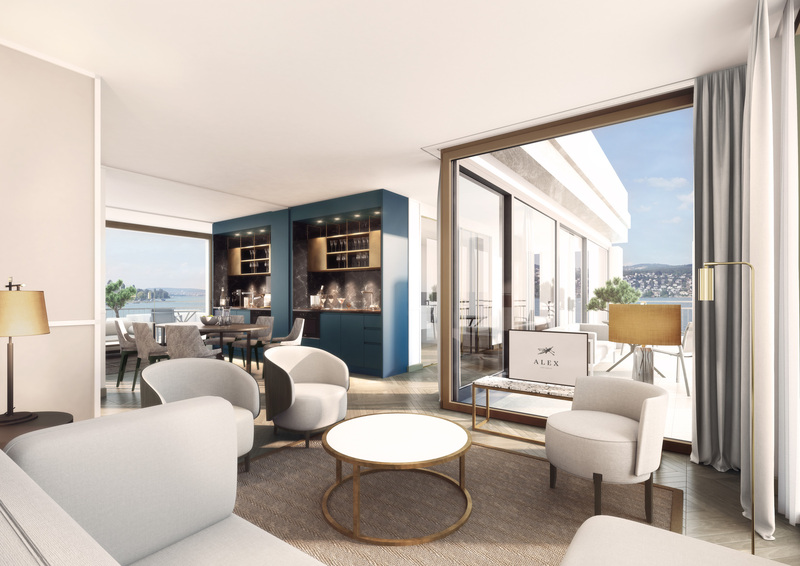 Its stunning waterfront location makes this member of ‘Small Luxury Hotels of the World’ a special place to stay: All of the 44 studios and penthouses have spacious balconies and terraces overlooking the lake. Guests can also enjoy the perfect view from the hotel’s Boat House Restaurant and its lakeside terrace, the world-class wine cellar and from the elegant bar, while the exclusive spa area with own lake access raises the bar in discreet luxury. 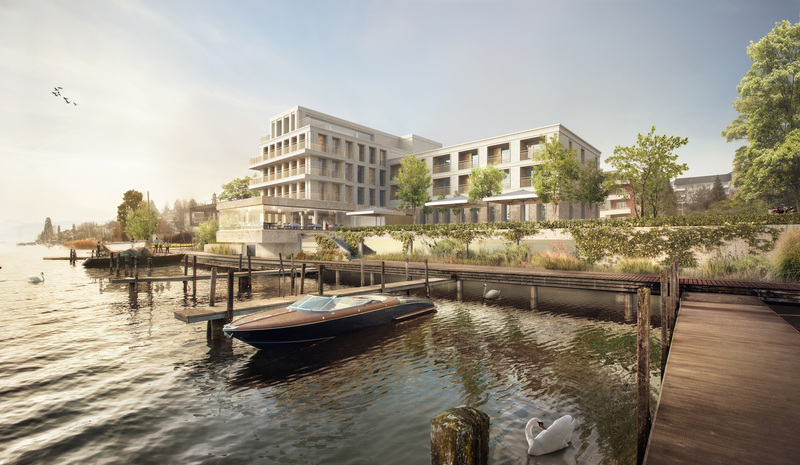 Stone and glass are the materials that make up the distinct design of Alex Lake Zürich, naturally nestled within the beautiful surroundings. 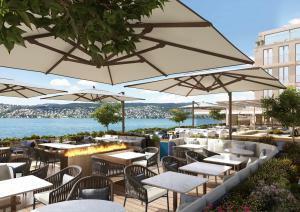 The city centre of Zurich is only 8 kilometres away. 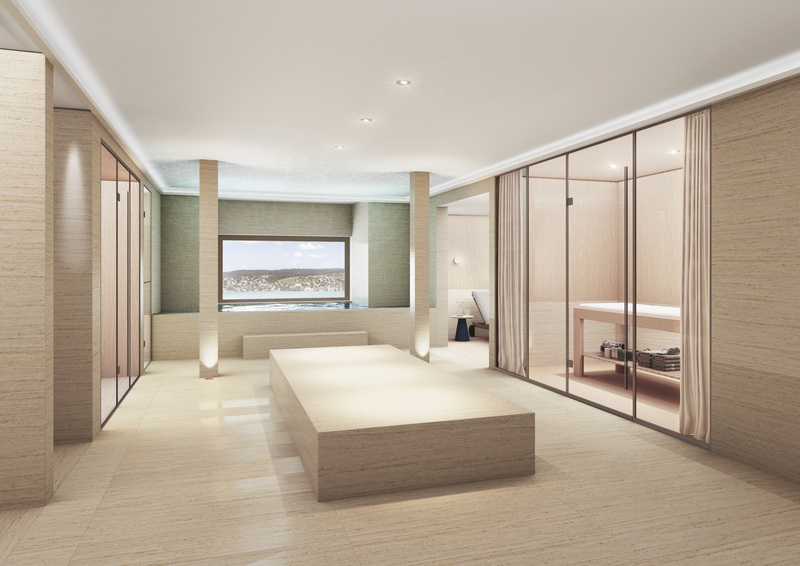 The private hotel boat offers an extraordinary way of traveling there! Sportive activities range from stand-up-paddling and water-skiing to bike rides along the lake shore to be started directly from the hotel site. Further information www.campbellgrayhotels.com.